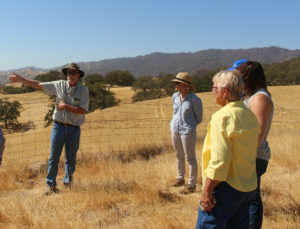 When it comes to keeping California leading in conservation, you may be surprised to learn that landowners are key front-line defenders of the environment. Over 50% of all land in California is privately owned, and how people manage this land has a dramatic effect on our environment, from combatting climate change, to boosting clean air and water, to protecting wildlife. Given in honor of renowned conservationist Aldo Leopold, considered by many the father of wildlife conservation and wilderness protection in the U.S., the Leopold Conservation Award inspires other landowners by example and provides a visible forum where farmers, ranchers and other private landowners are recognized as conservation leaders. Award co-sponsors Sand County Foundation, the California Farm Bureau Federation and Sustainable Conservation are pleased to be able to highlight three more stellar finalists this year – the statewide award’s 12th year. Congratulations, all! Bruce Rominger discusses the impact of his and his brother’s more than three decades of conservation leadership. 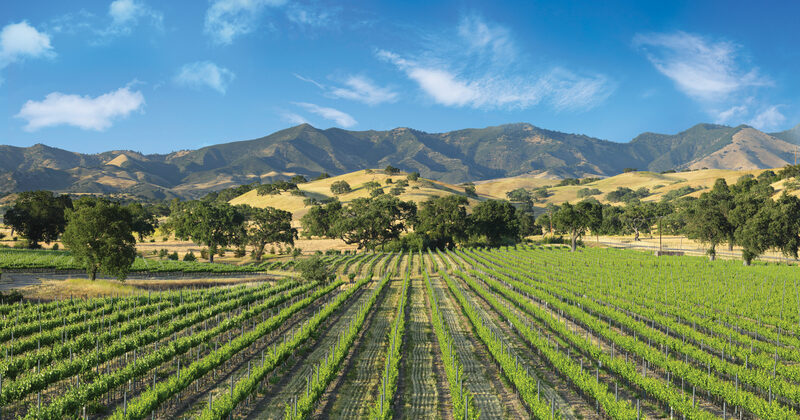 Rominger Brothers Farm (Yolo County) is 6,000-acre diversified farm and ranch located roughly 60 miles north of San Francisco owned and operated by fifth-generation farming brothers Bruce and Rick. 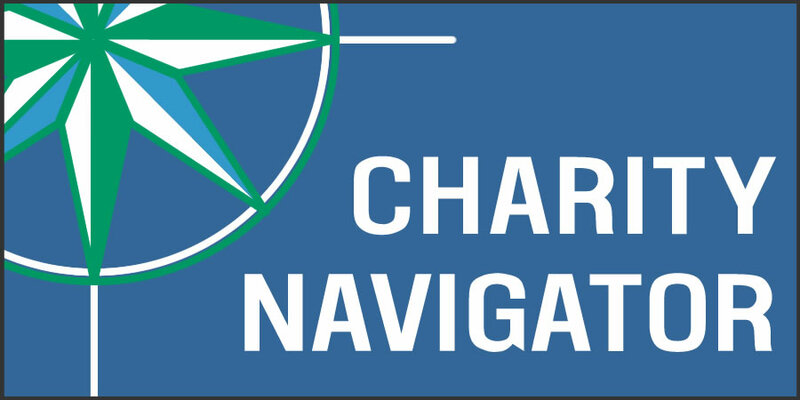 The two grow a variety of vegetable, tree, fruit and grain crops, having spent the last 30 years evolving their operation into a model of sustainability. 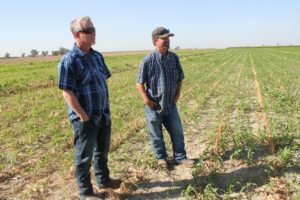 Included in their list of accomplishments is growing their main crop, tomatoes, with water-wise drip irrigation and in-field moisture sensors to ensure they’re applying no more water than their crops need. Since the 1980s, the brothers have led numerous habitat-improvement efforts, including planting literally miles of hedgerows to benefit important pollinators like bees, restoring over 5,000 feet of stream corridors to connect riparian areas and wetlands to aid a variety of species, and managing irrigation water on their rice fields to boost declining shorebird populations. Bruce and Rick placed a conservation easement on nearly 2,000 acres of their family’s rangeland and are in the process of placing easements on another 1,000 acres to protect them in perpetuity from development. Bryce Lundberg demonstrates what it takes to keep weeds at bay while growing organic rice. Lundberg Family Farms (Butte County) is a multi-generation organic rice farm and rice-products company whose Sacramento Valley origins date back to the 1930s. The Lundberg family has long committed to sustainable farming practices that care for the soil, wildlife, air and water. Their conservation achievements include growing rice following national organic standards and utilizing natural methods of pest control. They received platinum-level certification from the U.S. Zero Waste Business Council for diverting a vast majority of their agricultural waste from landfills (nearly 800 tons in 2017), and satisfy their energy needs from renewable energy sources. Starting in the 1980s, the Lundbergs developed a program to rescue duck eggs ahead of harvest and release the offspring back into the wild. Their egg-rescue program has saved more than 30,000 ducks to date. In 1963, to improve air quality and human health the family discontinued the common industry practice of burning harvested fields. Instead, they flood fields to break down rice stubble, providing habitat for millions of migrating waterfowl each winter. Other innovative farming practices that have made them a leader in organic rice production include planting cover crops and fallowing fields to improve soil health. Brothers Donny and Andy Rollins use low- and no-till methods to boost air quality. Rollin Valley Farms (Fresno County) is a 2,000-cow dairy run by brothers Donny and Andy Rollins, and began by their grandfather in the 1920s. The brothers’ conservation commitment led them to test and scale an underground water-wise drip irrigation system to grow cow feed in lieu of the standard irrigation technique of flooding fields. The latter involves applying large quantities of water that may not be utilized efficiently by crops. Soil moisture sensors enable them to irrigate with great precision and apply water only when crops require it. Together, the use of drip irrigation and other water-saving practices have helped them reduce their water use by 50% and save tens of millions of gallons of water each year. The brothers are also pioneers in the use of conservation tillage on their cow-feed crops, which involves reducing tractor passes to cultivate crops and planting new crops on top of old ones. The result is significantly improved air quality for their region in addition to healthier soil that both increases crop yields and water retention. 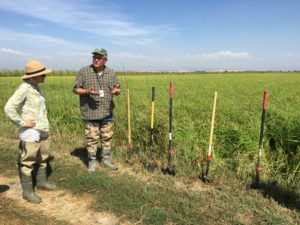 The 2018 California Leopold Conservation Award will be presented in December at the California Farm Bureau Federation’s Annual Meeting. The award recipient will receive $10,000 and a crystal depicting Aldo Leopold. The California Leopold Conservation Award is made possible thanks to generous contributions from many organizations, including American AgCredit, The Nature Conservancy, Farm Credit West, The Harvey L. & Maud S. Sorensen Foundation and California LCA Recipient Alumni.